KIP manufacture a range of caravans in Hoogeveen, Holland. 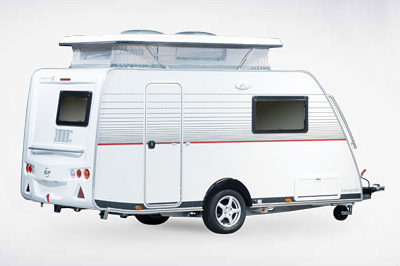 Their programme includes the Kompakt and Vision “pop-ups” and the ISA-White and Greyline range of touring caravans. We offer KIP caravans manufactured to comply with UK standards including fire retardant upholstery, gas and electrical modifications as UK caravans differ from those supplied on the Continent. The door remains on the Continental side on all models.